CHS Musical and Art Show This Weekend! Performances for this weekend's Chadron High School Spring Musical: Grease! The Chadron High School Art Show can be viewed during intermission of each performance in the library. 67 students will have over 140 pieces of work on display! Tickets are available at the high school office until 4pm today or from cast members. 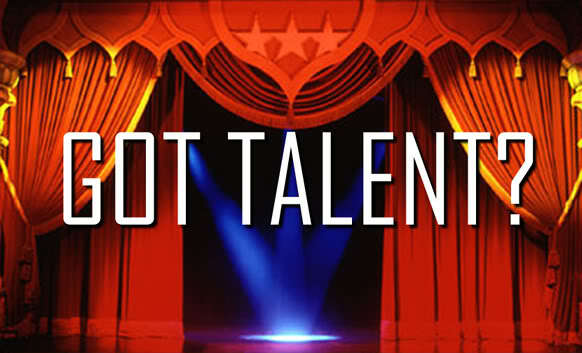 On Monday April 24th the Wanderlust Cardinals will be hosting a Chadron High and Chadron Middle School Talent Show at 7:00 p.m. in the high school auditorium. The cost will be $5 for adults and $3 for students K-12. The Talent Show will work a bit like “America’s Got Talent.” Contestants will be eliminated in their high school and middle school categories each round, bringing the final round to three contestants each. Prize packages will include cash, food gift certificates, movie passes, etc. for those who place in the top three. A cash prize for the People’s Choice will also be given. Any high school or middle student (or groups) that want to participate can pick up a form in the middle school or high school office. They must be turned in with the $5 entry fee by Wednesday April 19th. A sound check for contestants will be held on Sunday April 23rd at 2 p.m. Please call Jill Paopao for questions and information. The Wanderlust Cardinals are an international traveling group of high school students who will be traveling to Germany, Switzerland, Italy, and France in June. There will be no school on Wednesday, March 22nd for Teacher Inservice Training! 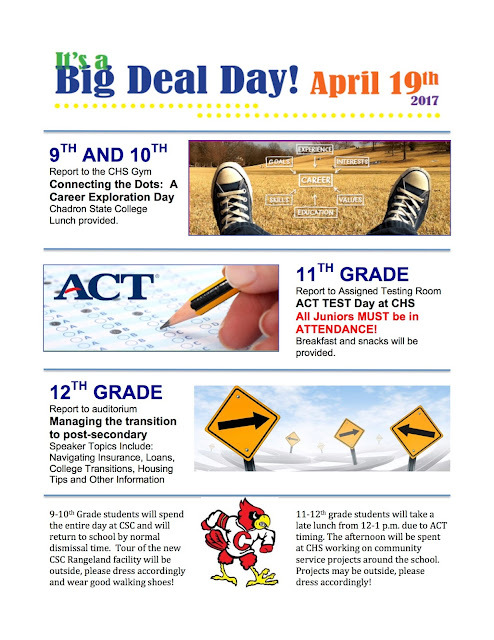 It's A Big Deal Day - April 19th! On March 15th, twelve FBLA students ventured across the street to attend the first annual American Business Competition at Chadron State College. Since this was the first competition hosted by CSC, Nebraska Council on Economic Education and Phi Beta Lambda (PBL), attendance from other schools in the panhandle was not quite at the level they were hoping for. 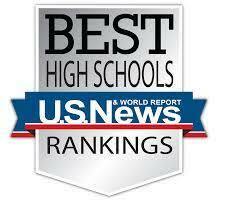 However, Chadron High and Hay Springs both showed up ready to compete. Students were given one hour to complete a 100 question test in each event. The top score received first place honors. The Job Interview event allowed only two students per school and they were put through the interview process with a prepared cover letter and resume. Round one interviews put the top two into final interviews. Both Chadron students Greta Welch and Corbin Johnson made the final round of interviews. 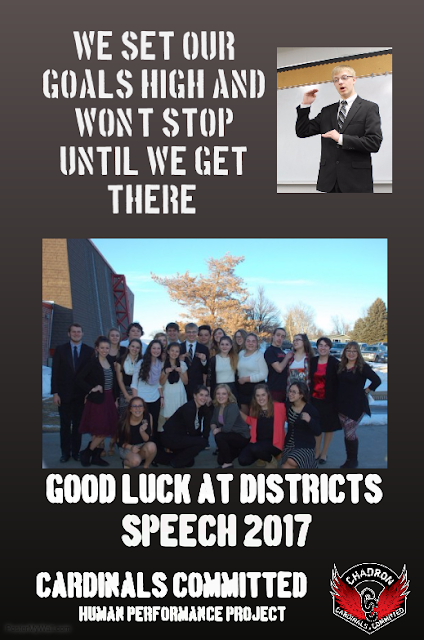 Good Luck at District Speech Cardinals!! !